Happy holidays from Yalla Y'all! Come out and share that warm holiday spirit with your friends in our amazing local community. Join Aziza Nawal for this special workshop "crammer" to learn a brand new choreography featuring the music of Issam Houshan! Doors open at 9:30. Workshop starts promptly at 10:00. Once you complete the workshop, you could be asked to perform in the Belly Dance Raks Gala on Saturday, January 17. Learn more and get your pass here. 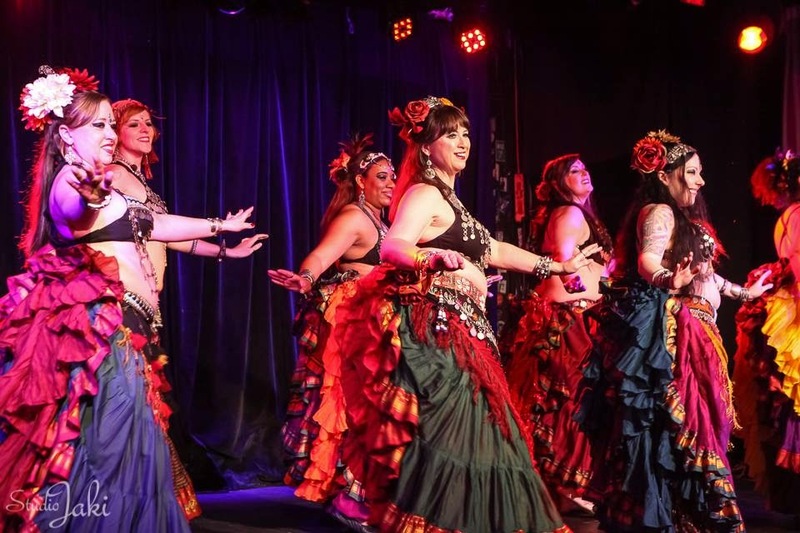 Join Atlanta Fusion Belly Dance and Samora in paying special tribute to Nicola Ayoub, who has been a passionate supporter of belly dance in Atlanta for many years. Enjoy performances by Rafi'ah Dance Company, Samora, and Amoraat... plus some special surprises! Nicola has made an immeasurable contribution to our community... from enthusiastically supporting beginners performing their first solos, to giving professionals a great venue for weekend performances, to hosting troupe showcases, to cheering on any dancer in any style who cares to take the floor at his casual, comfortable restaurant. Not to mention he keeps us all well-fed with delicious Lebanese food! Don't miss this well-deserved tribute. Visit the Facebook event to learn more! Enjoy a variety of performers from the thriving Athens belly dance scene, as well as some special guests from around north Georgia. Visit the Facebook event for more details. Get ready for Suhaila's workshops in January with two sessions with Yvonne! Click here to learn more and get advance passes. Sabeeya and Glow Dance offer another delightful combination of wine and belly dance! Enjoy a wine tasting at noon, then learn a sassy choreography to Eartha Kitt's "Santa Baby" at 1:00. Open to all experience levels. RSVP to the Facebook event for all the latest details. As always, full disclosure... this is my troupe and our best brass band buddies, so please come to our show! The Awalim Repertory Company will partner with Black Sheep Ensemble to perform for a great cause at Steve’s Live Music. Expect classic, new, and seldom-seen Awalim choreographies, group improv, and some surprises... plus performances accompanied by great brass band music from Black Sheep Ensemble! A portion of the proceeds from the show will go to support International Women's House, a local organization whose mission is "provide a safe haven and supportive services for immigrant and refugee women and children who are victims of domestic violence and abuse with a focus on cultural sensitivity and self-sufficiency." Visit the Facebook event for all the latest news. One of metro Atlanta's most accomplished and powerful performers, Karmelita, shares some of her secrets in this workshop, featuring combos and experimental techniques for making crazy awesome drum solos. Visit the Facebook event to learn more. Click here to buy tickets.